My name is Jason. I’ve been cycling since I was four years old, but more seriously in the last few years. 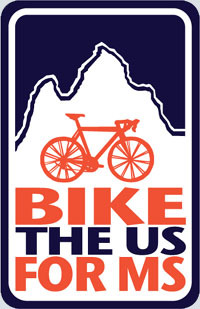 From May 28th until August 5th, 2012, I will be on the BIKEtheUSforMS Northern Tier team of about 25 cyclists. We will be cycling about 65-70 miles a day, traveling from Bar Harbor, ME to Seattle, WA to raise money for Multiple Sclerosis cure research. I cannot wait. Until then, I must raise $4,295 (one dollar for each mile) and train to ride seventy miles per day. If you want to help the cause, donate here.